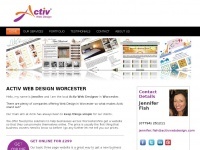 Affordable web design in Worcester for SME's. 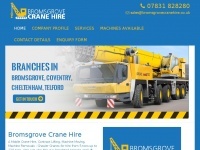 Worcestershire based web designer also covering Tenbury Wells, Ludlow & Leominster. The websites creator or author is Activ Web Design - http://www.activwebdesign.com/. 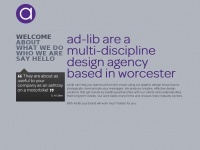 15 links pointing to Activwebdesignworcester.co.uk were found. Individual words like Design, Wells, Tenbury and Activ are frequently used in text links from other websites. The most important links to the website are from Acornlodgeshropshire.co.uk and Bowketts.co.uk. The sites /ludlow.html and /tenbury-wells.html are frequently referenced by external sources. The table shows the most important links to Activwebdesignworcester.co.uk. The table is sorted in descending order by importance. The table shows websites of Activwebdesignworcester.co.uk, which are often linked by other websites and therefore they are classified as important content.  Ad-lib.co.uk - : Ad-lib De­sign Partnership, a mul­ti-dis­cip­li­ne de­sign ..
Cadmorelodge.co.uk - Cad­mo­re Lod­ge, Lu­xury Country Li­ving, Ten­bury Wells, ..